The sketch was made from actual frames of the picture by Mr. A.P. Tomas (the editor) when he was Sydney Observer of the Australian Flying Saucer Bureau. The affair assumed the apocryphal dimensions of a UFO "holy grail" saga with the "disappearance" of the footage. It occupied the attention of pioneer researcher Edgar Jarrold and numerous researchers in the decades that followed, including myself. 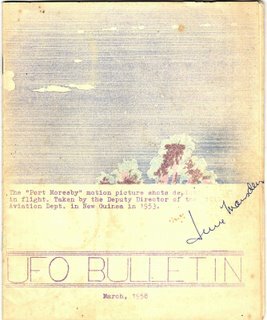 The controversy about the Drury UFO film can be followed in an extensively illustrated two part article I wrote for the Australasian Ufologist in 2001 - "The Drury UFO Film Affair - a study of a celebrated Australian Case". 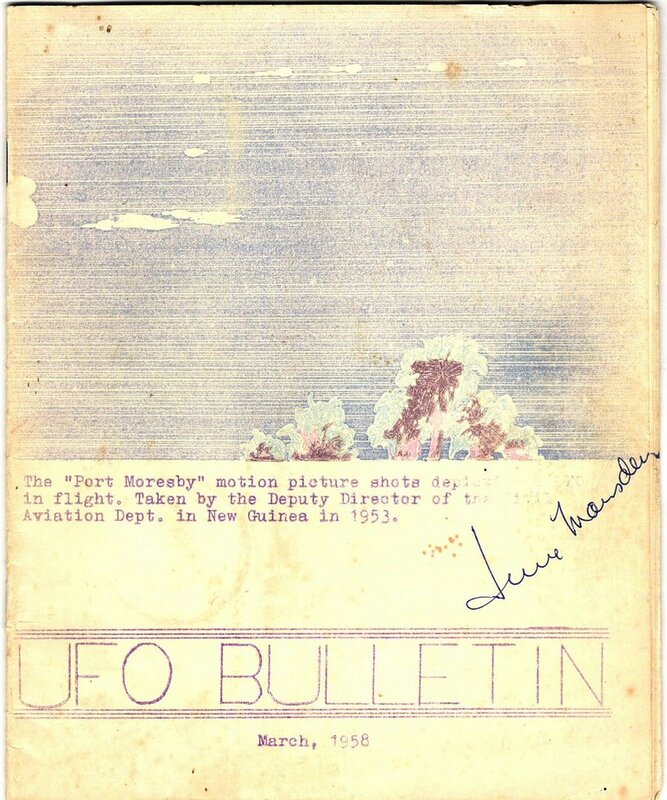 The text of the article can be accessed either via my OZ Files web site or via my UFO article archive at AUFORN link.